Why order pizza when you can have fresh sandwiches instead? What’s more, if you buy a Jimmy John’s gift card at a discounted price, then you will pay less for the entire bill. Order online for delivery or pickup and your fresh sandwiches are just a quick click away! Get your card today and start saving money on fast, delicious sandwiches that are sure to satisfy any appetite! Whether you are in the mood for a sub sandwich or a traditional club, this menu has something for everyone. And in three size options, you can order exactly the amount of food you want. Whether you crave a traditional B.L.T., or the impossibly large Gargantuan, which includes nearly every meat and topping possible, they have your sandwich. And imagine, if you buy a discounted Jimmy John’s gift card you will pay less money! Impressive as their menu may be, equally remarkable is that there are more than 2,500 nationwide locations. And when you buy your discounted Jimmy John’s gift card, you can use it at any of these locations, anytime. So, if you want good, fast sandwiches at convenient locations and for less money, then this is the card for you! Don’t let another day go by without taking advantage of this great deal! 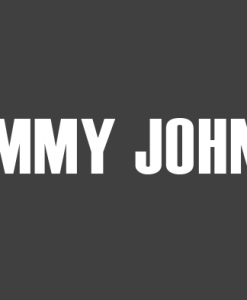 For 34 years, Jimmy John’s has been serving up tasty sandwiches for reasonable prices. Now you can purchase a discounted Jimmy John’s gift card and pay even less money for the same great food! What’s more, Cards2Cash offers discounted gift cards for many other popular restaurants! Check out our listings for Subway, Firehouse Subs, Five guys, Hersey Mike’s, and more! With Cards2Cash on your side, you can save more money than you ever have before on sandwiches you love! Would you like to sell Cards2Cash a gift card? Do you have a Jimmy John’s gift card you want to sell? Good news! Cards2Cash buys many gift cards! And we pay top dollar for them! Won’t it be great to have money instead of a card you’ll never use? We can make this come true. If interested, stop in one of our retail locations for fast, on-the-spot payment, OR fill out our simple online form and we’ll get back to you with an offer for your unwanted card! Cards2Cash has your gift card needs covered!